Despite the forces of secularization in Europe, old pilgrimage routes are attracting huge numbers of people and given new meanings in the process. In pilgrimage, religious or spiritual meanings are interwoven with social, cultural and politico-strategic concerns. This book explores three such concerns under intense debate in Europe: gender and sexual emancipation, (trans)national identities in the context of migration, and European unification and religious identifications in a changing religious landscape. 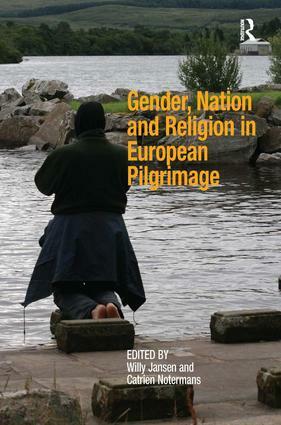 The interdisciplinary contributions to this book explore a range of such controversies and issues including: Africans renewing family ties at Lourdes, Swedish women at midlife or young English men testing their strength on the Camino to Santiago de Compostela, New Age pilgrims and sexuality, Saints’ festivals in Spain and Brittany, conservative Catholics challenging Europe’s liberal policies on abortion, Polish migrants and French Algerians reconfiguring their transnational identity by transporting their familiar Madonna to their new home, new sacred spaces created such as the shrine of Our Lady of Santa Cruz, traditional Christian saints such as Mary Magdalene given new meanings as new age goddess, and foundation legends of shrines revived by new visionaries. Pilgrimage sites function as nodes in intersecting networks of religious discourses, geographical routes and political preoccupations, which become stages for playing out the boundaries between home and abroad, Muslims and Christians, pilgrimage and tourism, Europe and the world. This book shows how the old routes of Europe are offering inspirational opportunities for making new journeys. Willy Jansen is an anthropologist, professor of gender studies at Radboud University Nijmegen and member of the Royal Netherlands Academy of Arts and Sciences. She is particularly interested in religion as an important cultural code for gender, and has published widely on topics connected with this theme. Catrien Notermans is an anthropologist at Radboud University Nijmegen. She has been doing long-term anthropological research in East Cameroon, concentrating on religion, gender and kinship. In Europe and South Asia she has conducted fieldwork on pilgrimage, focusing on the ways in which women use religion as a powerful practice in less powerful circumstances, such as illness and migration. Together with Willy Jansen she has supervised the comparative research project 'The Power of Pilgrimage'. Her most recent research concentrates on gender and ethnicity in the Lourdes pilgrimage of African migrants in Europe (and especially France) and is part of the European project entitled Gender, Nation and Religious Diversity in Force at European Pilgrimage Sites.